This list is only in release date order not by my rating, but they are the best sci-fi films in the naughties. Please leave any comments or suggestions for movies I may have missed or your opinion of my list choices. This list contains the very best sci fi films from the last decade and really represent the genre well. 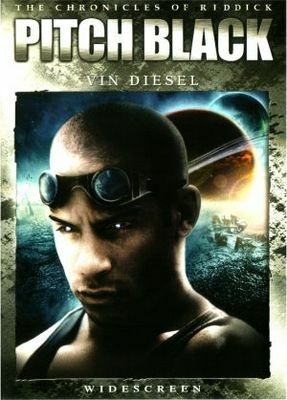 Pitch black is my favorite movie with Vin Diesel as he begins playing the character Riddick sadly this is the only movie with Riddick in that is any good, but it is very good although critical reviews weren’t high viewers have given pitch black a cult status in the genre. The premise of pitch black is very unique and was made very well so that nothing felt cheap or unimaginative. The characters reactions to the creatures in the dark and fear you could see on their faces worked well to feel for them in their situation, but this was mainly for action and survival as Riddick battle mutant monsters scene after scene but somehow didn’t seem stupid. An enjoyable horror survival film set on an alien planet couldn’t be better. One of Steven Spielberg’s best movies minority report has a fascinating story and fantastic pace for a thrilling sci-fi great. The premise brings to mind comparisons to our own time and gives a stark warning of what can happen when technology and privacy is compromised for safety. 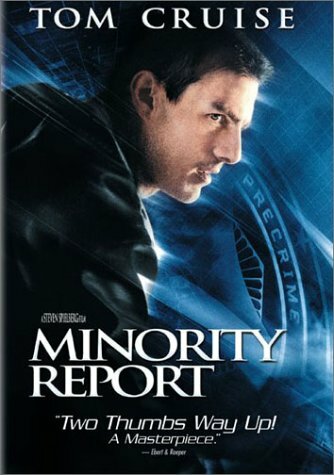 Incredibly entertaining and very weird what’s not to like, Minority Report feels like a really good thriller/chase epic but enhanced by it being set in a future with mutant people who can see into peoples future and used by the government to stop crimes but gets misused and the adventure gets spiked with acid. It’s a blockbuster about our own views of many powerful people ruthlessly determining our fate even as we relentlessly flee them. This movie is my favorite sci-fi horror written by Frank Darabont based off a Stephen King novel it brings the character development and relations of Shawshank Redemption with the thrill/horror of the shinning and then throws monsters in from a another dimension for good measure. 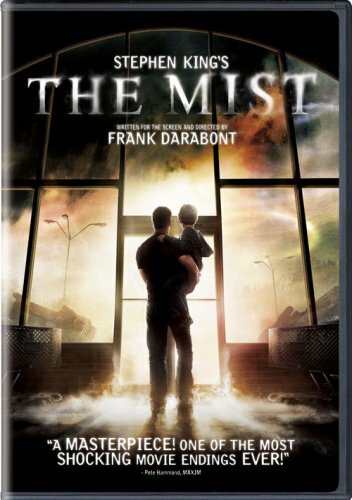 When a thick fog descends upon a rural community and claims the lives of anyone unfortunate enough to be caught outside, a small band of survivors seeks refuge in a local grocery store. Now I don’t normally like a movie stuck in one place (except dawn of dead) but this really breaks the mold of normal horror films because it’s not just moronic teenagers with no personality, but this film gets you feeling for the characters and makes the impact of character deaths all the more disturbing (if you have seen the end you know what I mean) the monsters in this film are hidden well behind the mist which makes it more creepy and shocking when they strike. 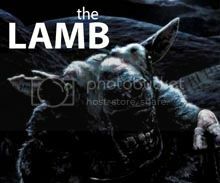 It’s a horror/sci-fi movie of real conviction. It deserves to be a hit. WALL-E is charming, audacious, and timely. 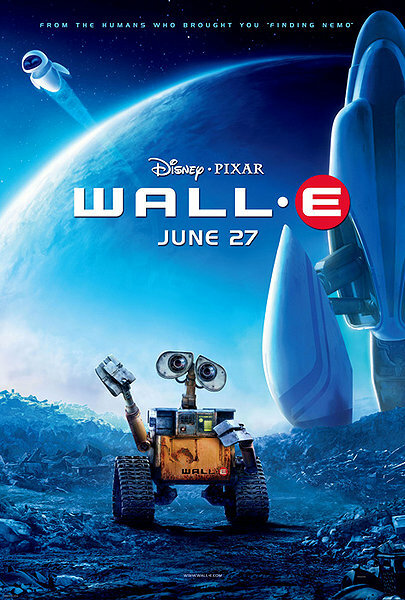 Wall-E’s light-hearted magic and stellar visuals testify once again to Pixar’s ingenuity. I got the same feeling when I first saw toy story and if it weren’t for my young cousins I probably wouldn’t have seen this film at all. Some people found the eco undertones too scolding. But the question of what happens to trash is a big part of young education so was understood surprisingly by my cousins, the undertones did stay undertones though and never overshadowing the endlessly renewable entertainment of WALL-E’s plucky protagonist & carefully, comically choreographed physical humor. I have never enjoyed a movie which is mainly without speech but this was done very well. Technically brilliant and emotionally wrenching, District 9 has action, imagination, and all the elements of a thoroughly entertaining science-fiction classic. This film is truly brilliant and it was very surprising when I first saw it. This film seems to me a movie somewhere between transformers and alien nation and works very well. Part alien invasion flick, part social commentary a visually spectacular and cares mostly about its characters but keeps its visuals spectacular, and that’s a rare thing in film today. 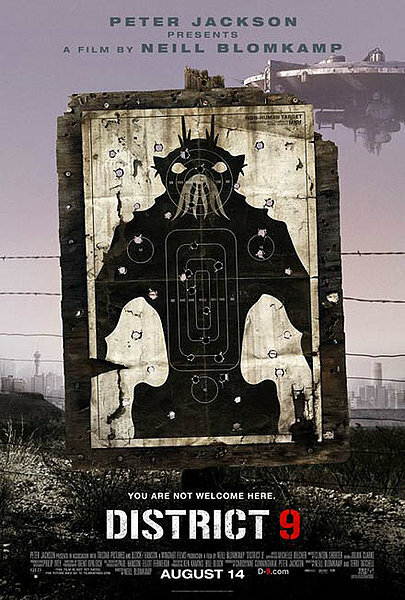 District 9 is the most original, innovative and entertaining science-fiction film in years and contains the best mix of politics and spectacle since Starship Troopers, by using similar news features and documentary scenes so that it makes you feel like you could be watching half of it on a breaking news segment. Sci-fi stunner is gory, but also fascinating and smart.